TIME TO EXPLORE — Sally and Alice Travel Co. | Luxury African Safaris | Tailor-Made Holidays | Sally and Alice Travel Co. Newly opened in Madagascar, Time and Tide's Miavana promises to be a game-changer for the African nation’s tourism industry (the resort comes with a pedigree — its designers also created the celebrated North Island in the Seychelles). The super-luxury private island retreat, which will cater for a maximum of 44 guests, occupies Nosy Ankao, the largest of five islands in an archipelago off Madagascar’s north-east coast. The property will have 14 villas—ranging from one to three bedrooms—each opening out directly to the beach in front. Miavana is part of the Time + Tide portfolio which includes our firm favourites Norman Carr Safaris and Chongwe Safaris in Zambia. Like a safari camp, Miavana will offer carefully planned excursions into the island's wilderness. Guests will predominantly spend their time on “blue safaris” — snorkelling, scuba diving and turtle, whale and dolphin-watching — as well as fly-fishing and kite surfing. 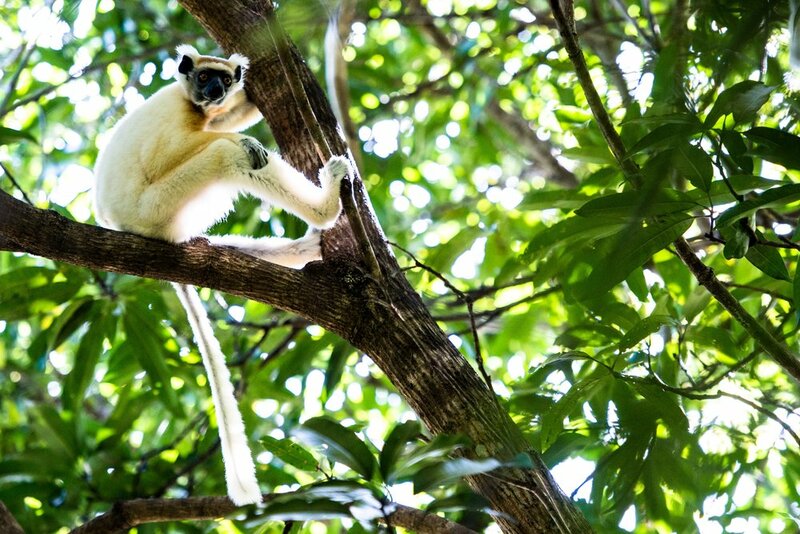 Off-site excursions will include trips to the mainland’s Loky Manambato Protected Area (5 minutes by helicopter or 30 by boat), where visitors can spot the rare golden-crowned sifaka and other lemur varieties (Madagascar is home to a fascinating array of flora and fauna—almost 90 percent of which is found nowhere else on Earth). Feast your eyes on the spectacular Arijiju Retreat - an enchanting private bush home in northern Kenya and one of the most eagerly anticipated new safari properties to open this year. Available on an exclusive basis only and sleeping up to 10 people in five double en-suite bedrooms, the retreat has been inspired by ancient earth architecture and Ethiopian monastic buildings, and offers world-class wildlife, outdoor adventure and wellness facilities in surroundings of exceptional beauty and serenity. Meals are prepared with home grown or locally sourced produce and in the style of Yotam Ottolenghi, and a different freshly blended juice arrives each morning. Thanda Island off the coast of Tanzania is one of the few truly exclusive tropical islands in the world, a sanctuary to enjoy in complete privacy with family and friends. 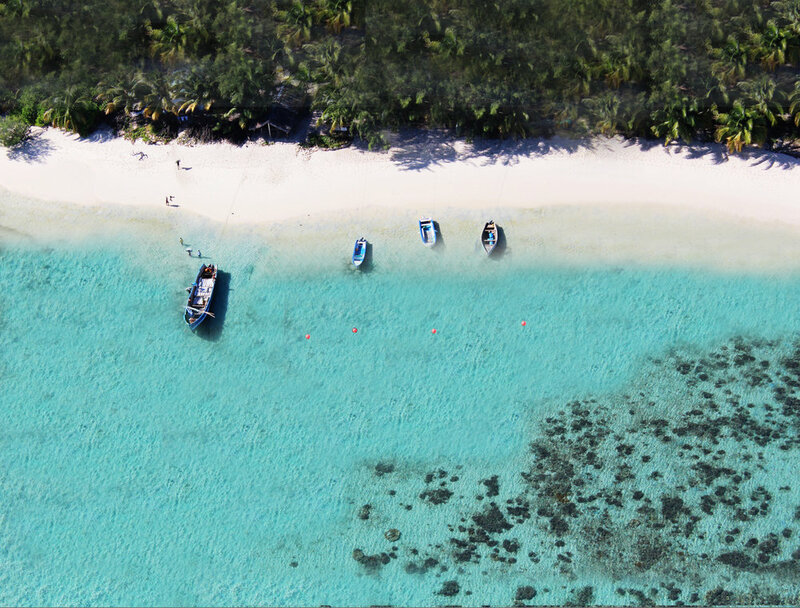 Situated within the Shungi Mbili Island Marine Reserve, the surrounding seas are home to the gentle whale shark, sea turtles, dolphins, and dugongs, and depending on the season, guests can watch turtles nesting and their eggs hatching. The accommodation consists of 1 Private Villa with 5 suites accommodating 10 adults + 9 additional children sharing. On request there is an option to accommodate an additional 16 guests in banda style beach huts and safari-style tents on the island. The villa has been designed and decorated by the Olofssons in a style all their own. A palette of white combines with soft, natural hues and fabrics, complemented by handpicked furniture and artwork. With access straight to the pristine white sand beach, each fan-cooled and air-conditioned suite features indoor and outdoor showers. The ambiance encourages guests to slow down and soak up the relaxed tempo of island life, enjoy long lunches under the veranda, have fun making pizza in the outdoor oven, and linger late into the starry night around the outdoor cocktail bar. By day, guests may choose to laze on the expansive deck that frames the house and pool or stroll the beach with white sand squeaking between their toes. Twenty acres in size, nearly three-quarters of a mile in circumference and almost 400 yards wide, Thanda Island is surrounded by its own private coral reef, with an exclusive-use zone extending over a half-mile that can be explored with a snorkel and mask straight from the beach. Sailboats, stand-up paddle boards and single as well as double kayaks are all on hand for the active. The Island is accessible by boat from Mafia Island or helicopter directly from Dar es Salaam International Airport. Our pioneering partners in Namibia, Ultimate Safaris, launched their 'Journeys Under Canvas' in June this year, with the aim to take their guests to some of the most wild and remote places in Namibia and offer a true “back to nature” experience to those looking to connect with the earth, culture and wildlife in a very up-close and personal way. Their first camp, Huab Under Canvas, is located in a core desert adapted black rhino area in the Huab Conservancy in Damaraland, nestled in a grove of Mopane trees on the banks of a tributary of the Huab River. Protected from all the prevailing winds and sun, the semi-mobile camp is virtually invisible from anywhere around and it carries arguably the lowest environmental footprint of any camp in Namibia. Tents are raised on mobile platforms and have basic infrastructure that allows for important comforts such as en suite flush toilets, but the essence of the camp remains Under Canvas, mobile and experiential. With provision for up to eight tents, this camp is booked on an exclusive basis for each group staying in it (recommended groups of 4 – 12 people). Activities include tracking desert adapted rhino which is completely private and done in an area that has the highest tracking success rate in north western Namibia; exploring the upper and less crowded Huab River in search of desert adapted elephants; nature walks and scenic game drives; as well as the possibility of visiting some nearby prehistoric rock engravings. The Huab Under Canvas Camp works together with the Save the Rhino Trust (SRT) - an NGO that has been has been instrumental in the preservation of the rare, endangered, desert adapted black rhino. A stay at this camp is a fantastic alternative to any traditional lodge stay in Damaraland and offers exclusivity, in terms of access, beyond compare.